Create business opportunities with personalised print and digital communications. 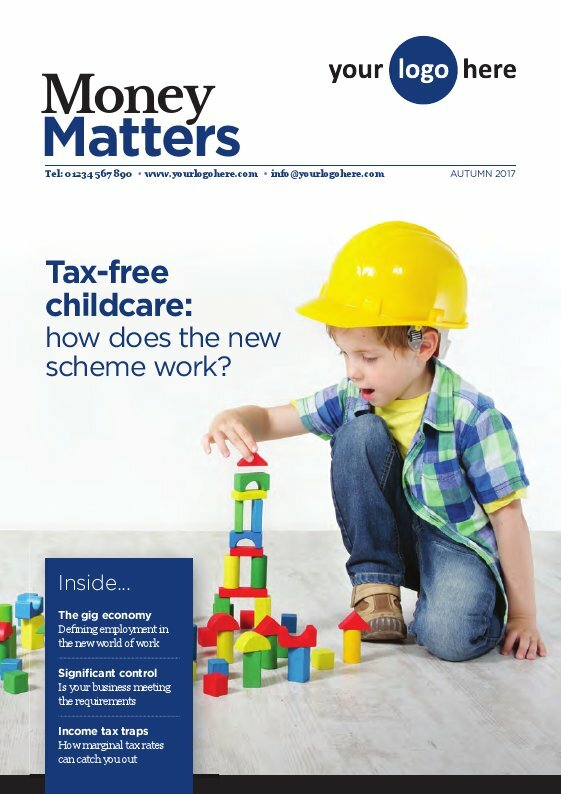 Taxbriefs client newsletters for Accountants, Tax and Business Advisers offer you a cost-effective, flexible solution. Published four times a year in January, May, August and November, the topical content is written by our team of experts. Newsletters will build your reputation for excellence. We even offer you a free marketing pack, including a draft covering letter, emails and social media updates to help you make the most of each edition. Your newsletters will be personalised when we add your logo and firm's details prominently to the cover of every edition of the newsletter you choose to take. It's simple - all we'll need from you is your latest company logo and your company details. 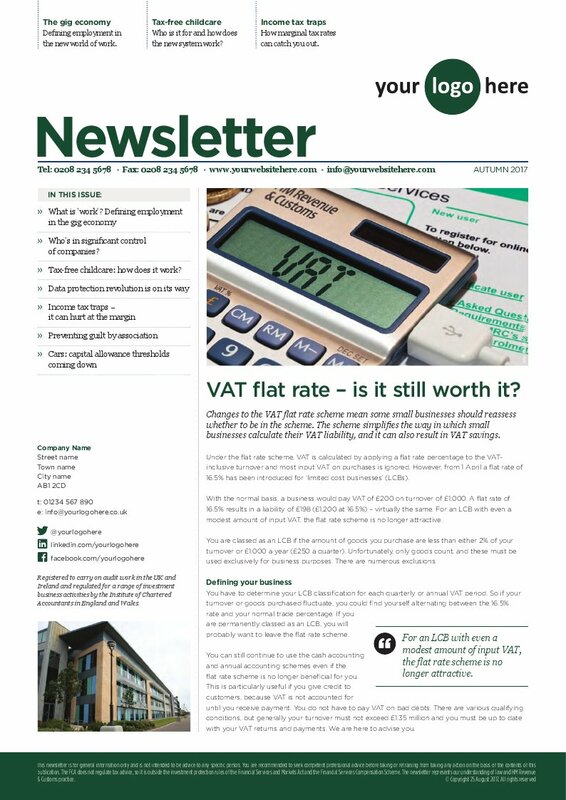 Our newsletters for accountants are available in four attractive designs and a choice of digital and print formats - our Tailored Plus, Tailored and Essential service levels allow you to find the most suitable newsletter to fit both your budget and marketing requirements. Just ask us about your options. Capital allowances in focus: A new allowance for structures and buildlings is part of an encouraging environment for businesses looking to invest capital. Coping with the company car tax regime: A stringent increase in company car rates comes in from April 2019. 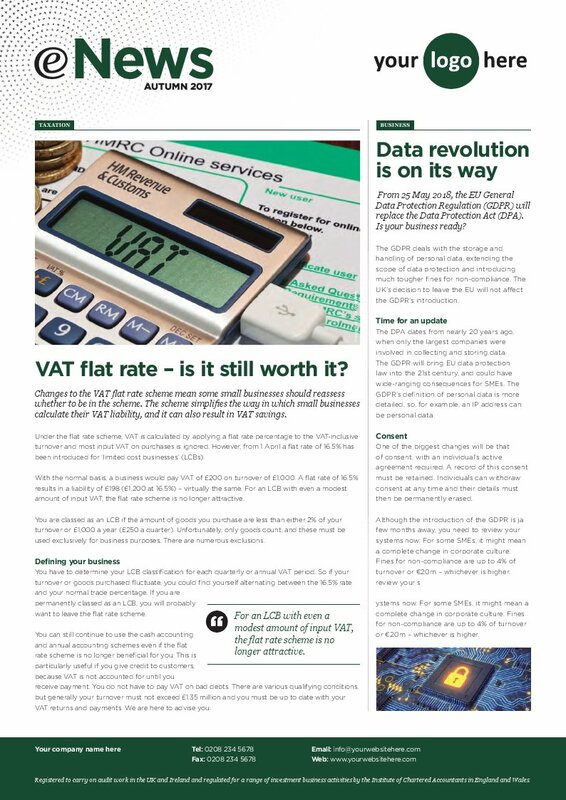 How can organisations mitigate the higher charges?. Probate fees on the rise: The government's postponed changes to the probate fees regime are now back, with new costs to larger estates in particular. 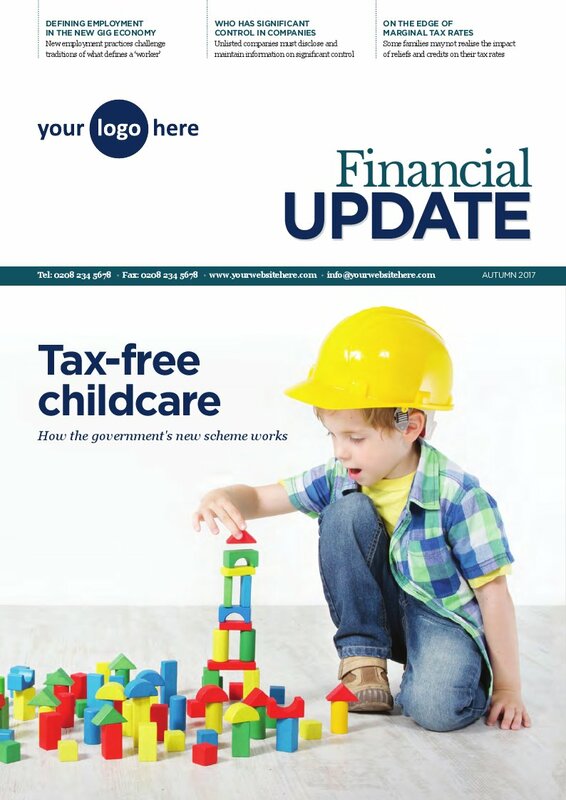 Child tax credits: There's new guidance on restrictions and exceptions which famlies may not be aware of. Testing times for entrepreneurs' relief: The 2018 Finance Bill introduces new restrictions and defnitions for qualifying for entrepreneurs' relief. Traditional design, in 4-page A4 format. Premium, corporate styled magazine, in 8-page A4 format.